Allison Jessup has 20 years experience in the Design Industry. She began her Interior Design Career with one of Melbourne’s largest specialist corporate interior design firms and from there has worked in a number of well known design firms undertaking bespoke residential projects, various hotel and education projects as well as a private practice exploring design for the more temporal environments of dance, theatre and opera. Allison has regularly been invited to collaborate with other design professionals and architects. 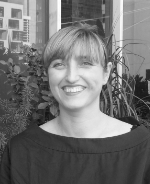 In her practice Allison specialises in problem solving and spatial design. She has primarily been concerned with the dynamic occupation of space that takes into account the possibility of inhabitation with a focus on addressing issues of place and identity. She has always seen her role as designer as one of translator, someone who has an understanding of the ‘language and tools of design’ who can facilitate connections, an intimate dialogue between a space and its inhabitants. In this context “interior” refers to the subjective mental perception that we have of the world around us. Her role as a designer has been to facilitate, to translate, to allow for the potential of connections between this “interior” and the world beyond. Through a direct and collaborative design process, Allison works with our clients towards producing environments that achieve efficient and considered spaces with ongoing possibilities for future use. We place a strong emphasis on creating innovative and sophisticated design solutions that enrich the quality of people’s lives. Our design process is one that is constantly reviewed and refined to continue a fresh approach and a unique identity to each project. Through rigorous attention to each client and each project’s requirements we produce sensitive designs that are specifically tailored for the inhabitants and the surrounding environment. Allison’s experience in design is across all phases of a project from briefing and concept, establishing space requirements, through to design and documentation of all detail elements to the interior, furniture fittings and equipment, systems furniture and construction administration. This is underpinned with a depth of experience at delivering bespoke environments on all scales of work. Over a period of 12 years, Allison consistently presented design studios to second and third year interior design students, supervised final year interior design students undertaking their design thesis in the undergraduate program as well as teaching in the communications stream. Allison regularly invited to sit on the review and assessment panels for final year design thesis projects in Interior Design at RMIT. Role: Design Author for all projects. Architectural design concept, interior planning, interior fit out, FF&E specification, design and procurement and preliminary landscape design. Producing and overseeing concept design presentations to clients, design development, documentation, contract administration and overseeing all staff members. Primary client contact for all projects. Role: Interior designer in charge of the interiors for stages 5 – 7 of The Park Apartments, Port Melbourne, fit out of apartments and the FF&E and artwork selections for the general lobby and corridor spaces and the display suite. Schematic design, design development, oversee contract documentation, client presentations. International House Student accommodation. Schematic design, design development, oversee contract documentation, client presentations. Role: Lead Interior designer for the fitout and FF&E of a Toorak home. Pre design, schematic design, design development, contract documentation, client presentations Interior Designer for private residence Toorak in association with Brian Bass from Popov Bass Architects. Role: Senior Interior Designer, design development, documentation, contract administration, FF&E selections, scheduling and procurement, client liaison. Type of Work: Commercial and retail Projects, junior interior designer. Role: Interior Designer, design development, and contract documentation.